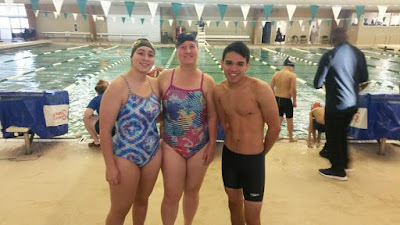 PEARLAND, TEXAS (Janaury 21, 2019) Three members of the South Belt Area "All Stars" Swimming Team competed in the masters division of the Texas Amateur Athletic Federation (TAAF) Winter Games of Texas at Pearland Natatorium on Sunday, January 20, 2019. 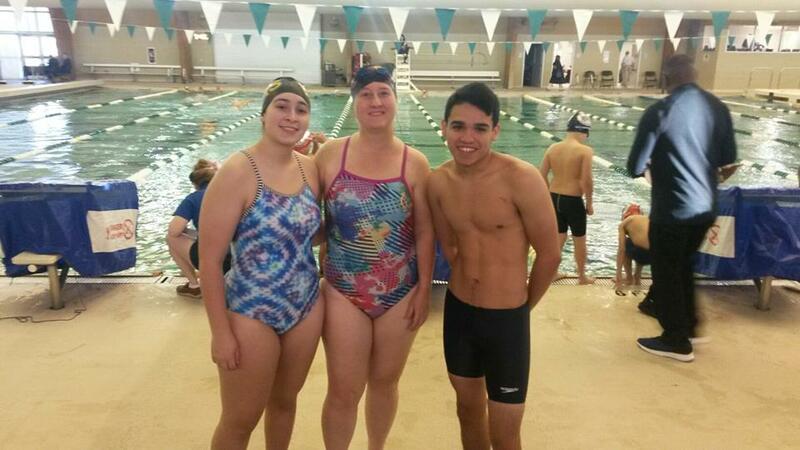 Renee Martinez (above center), who competed in the women's 50-54 division won gold medals in the 50-yard freestyle and 50-yard backstroke. Isabella Martinez (above left), Renee's daughter and a former member of the Pasadena Memorial High School's swimming team, won the gold medal in the 50-yard backstroke in the women's 18-24 age group. She also picked up a silver medal in the 50-yard freestyle. Former Pasadena High School swimmer Alfredo Vasquez (above right) won the gold medal in the men's 18-24 ahge group. He also won silver medals in the 50-yard backstroke and 100-yard individual medley. As a result of their success, all three have qualified for the State Games of America National Championships to be held at Liberty University in Lynchburg, Virginia on July 31-August 4, 2019.